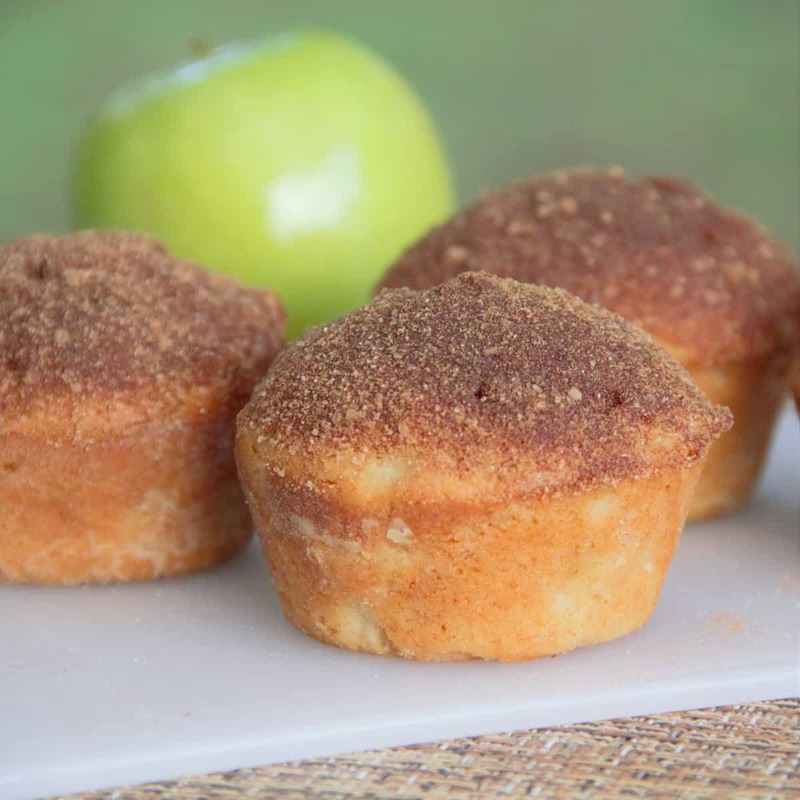 Sweet and aromatic apple and cinnamon muffins are wonderful for breakfast, brunch, snack or dessert. With the cinnamon sprinkle on top and the sweet apple base, you won’t miss not having any icing on top. There are one of my favorite treats to pack for lunch on a long hike and there is no way anything with a traditional frosting is going to make the distance. 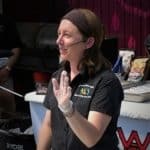 Preheat the camp oven to 375 degrees F (190 degrees C). Line muffin trays with butter and flour, making sure to discard any excess flour from the tins after coating. Sift together the flour, baking powder, salt, and cinnamon in a bowl. Set aside. In a separate bowl, toss together the diced apples and 2 teaspoons flour to coat apples. Set aside. Cream together butter and sugar until lightened in color, about 3 minutes. Add the eggs, one at a time, taking care to fully incorporate before adding the other. Mix in the vanilla. Gently fold in the flour mixture, alternating with the milk. Stir until just combined. Fold in the diced apples then scoop the mixture into the prepared muffin tins, filling about 3/4 full. Bake until a toothpick inserted in the center comes out clean, about 30 minutes. While the muffins are baking, melt the butter and allow to cool slightly. Pour the butter into a bowl sized easy for dipping the tops of the muffins. Mix together the sugars and cinnamon in a separate bowl then set aside. Once muffins have baked, remove them from the oven and allow to cool slightly in the muffin tray. 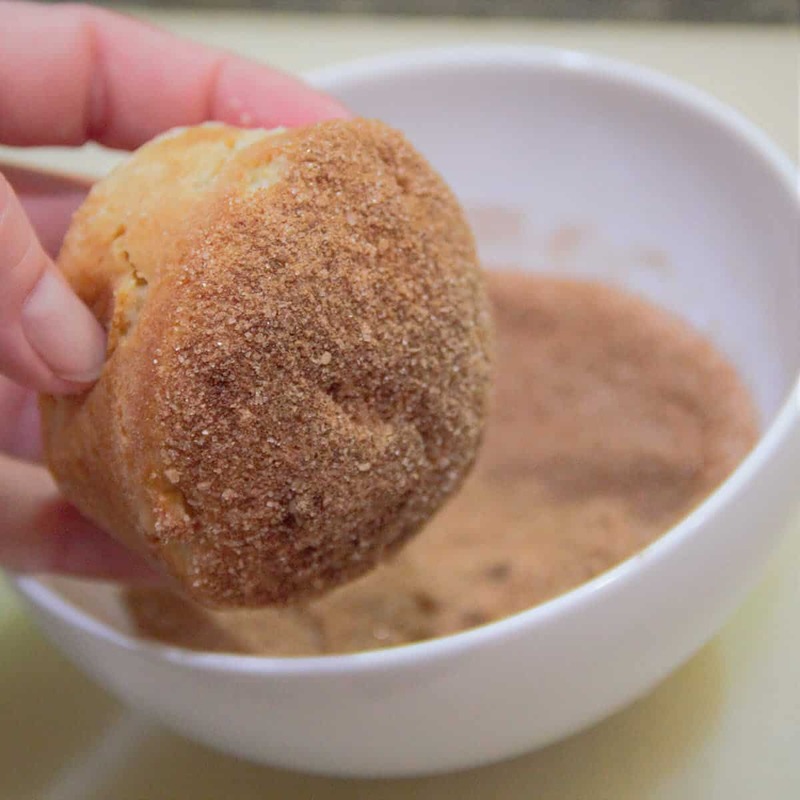 Remove each apple and cinnamon muffin and dip first into the melted butter and then into the cinnamon sugar mixture. Place onto a plate to finish cooling. This is a wonderful pound cake that I make for special picnics. 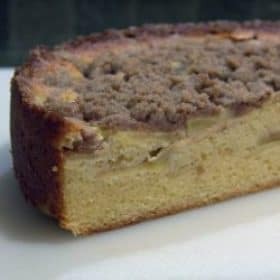 I love the inclusion of the fresh apples and cinnamon but the streusel top is the best part.